The idea originated from The Barry’s passion for playing games and their creativity to make one up whenever there isn’t any available. When Grandpa Mike needed to replace both of his hips and couldn’t move, the family took a bunch of his expired credit cards and started to toss them back and forth. 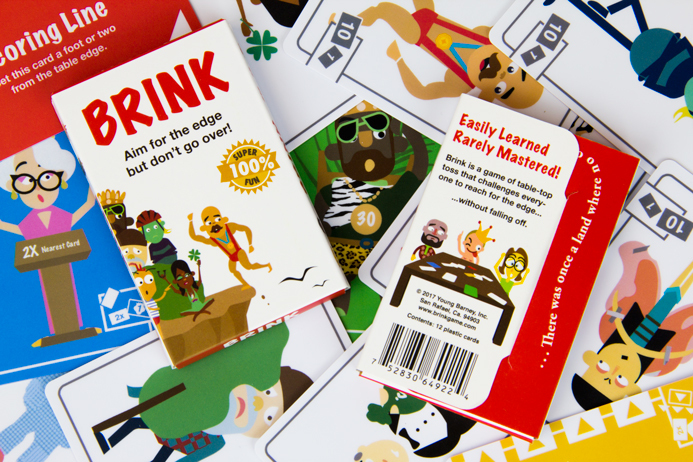 Before they knew it, the rules of Brink was born! As a small company growing, the biggest challenge was to find high-quality packaging that wouldn’t break the bank in the small run. Their mission with the game is to bring family and friends together and create an environment of friendly competition and lots of laughter. Since the box was going to fit miniature sized playing cards, it had to be a box that could provide a safe closure that is convenient and unbreakable while providing the most cost-effective option. PakFactory, of course, was up for the challenge! 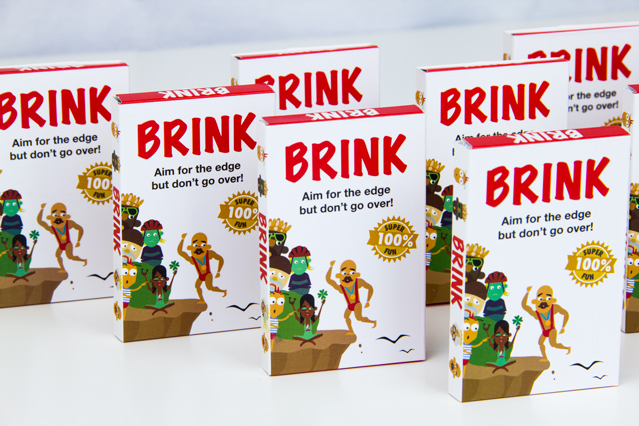 With the help of PakFactory’s Product Specialist, Brink was able to decide on a structure that worked best for their packaging goal. After several rounds of structural and artwork changes, a paperboard gusset folder was the best option for the small cards due to lower cost, better protection and faster production time. The final specification was 18PT gusset folder with locking feature, Full Color CMYK with Matte Lamination. Many customers commented on how good the paper and the printing felt on their hand. With the beautiful illustration designed by Kai Berry, Co-Owner of Brink and structural design by PakFactory, customers were surprised by their capabilities as a small business. Not only the structure the cards perfectly, the box was able to elevate their brand, show their creativity through the packaging and resonate with their potential customers. 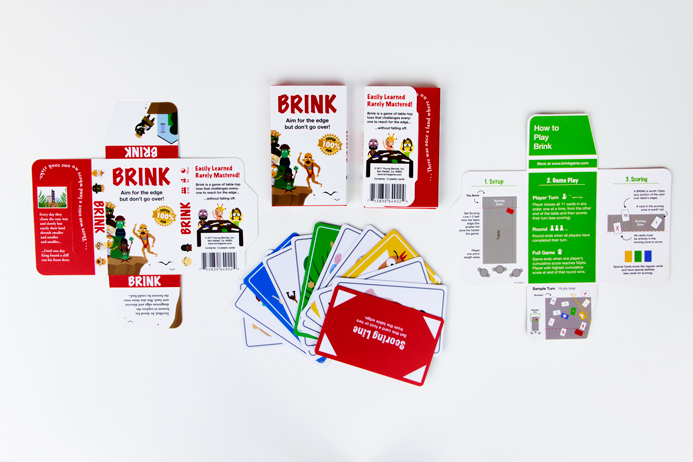 After finalizing their packaging and the game was launched, Brink was able to reach customers across the continents and the Kickstarter project was able to raise thousands of dollars. With PakFactory, we didn’t feel like we were being pushed off to the side as a small customer.